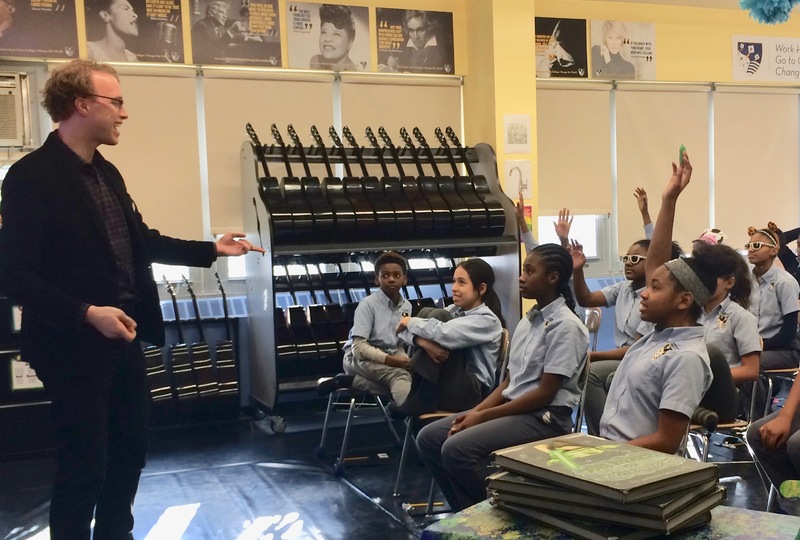 An important part of the New York City Master Chorale’s mission is to provide youth and community programming. Through the School Partnership Program, a member of the New York City Master Chorale’s artistic team visits partner schools each month throughout the year. This program, unique to the choral arts world in New York City, has reached over 1,000 students since its inception in 2006. Due to budget limitations in public schools, many students, particularly those in low-income settings, do not have the opportunity to participate in a chorus or attend concerts. Laura presents a series of workshops that prepare students to attend NYCMC concerts, including one at their school. 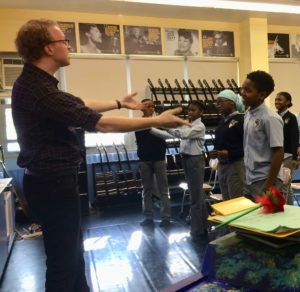 Dusty Francis, Principal Conductor, with students from Democracy Prep Endurance during one of his visits in 2017. 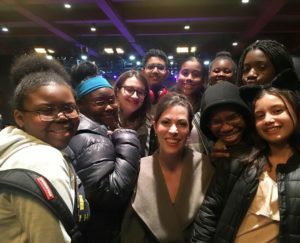 Laura Inman, Assistant Conductor, with students from Democracy Prep Endurance at the “Glorious Seasons” concert at Symphony Space in April 2018. Thanks to our generous donors, we are able to provide free tickets to students and their families. 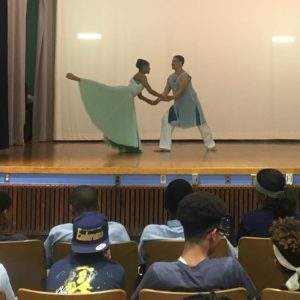 Dakshina Dance Company at the in-school performance of “Glorious Seasons” in 2018. 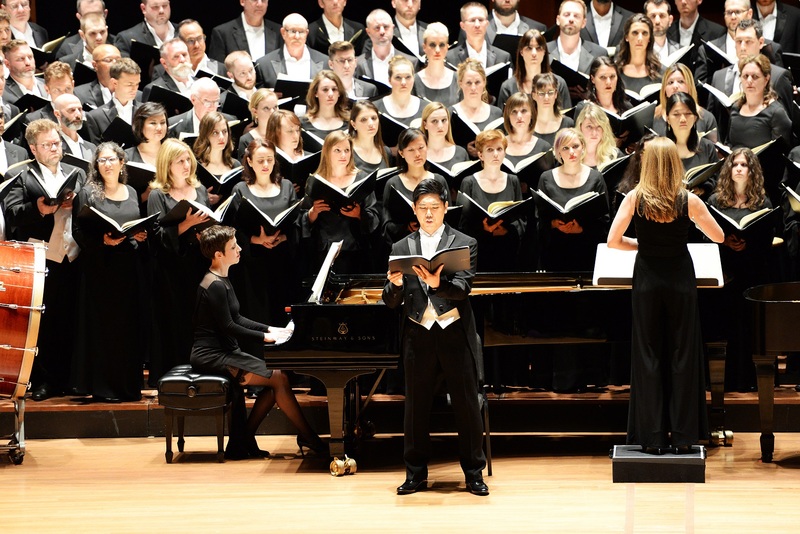 Celebrating the diverse cultures, voices, and people of New York City, We Sing NYC unites New Yorkers of all ages and backgrounds through musical exploration, the choral arts, community voice lessons, and special access to a live music environment. 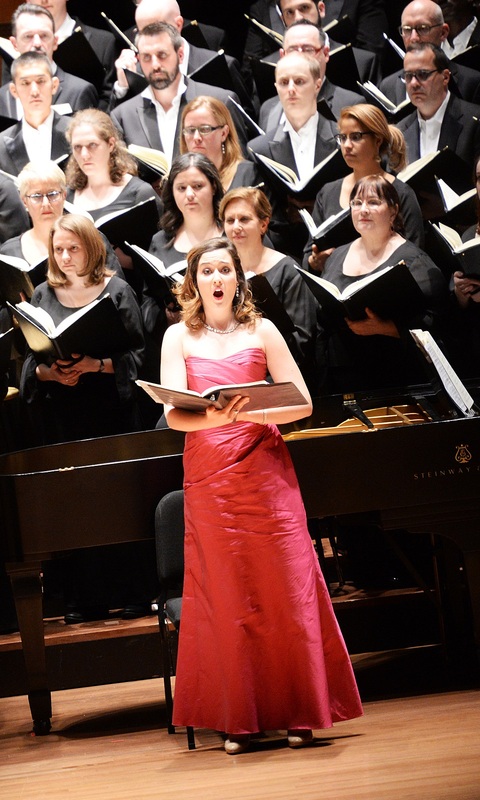 The New York City Master Chorale strongly believes in supporting performance opportunities for young artists. Through our Young Artist Program, we partner with the Manhattan School of Music on select concerts to provide professional performance opportunities for their students. These musicians are hired as professionals and have the opportunity to rehearse and perform with our conductors, orchestra, and singers, all while adding new repertoire and venues to their resume. Past soloists have included Kendra Broom, Bryn Holdsworth, Maria Natale, Oliver Sewell, Young Kwang Yoo and Xiaomeng Zhang, and in our 2018-19 season we continue our work with the Manhattan School of Music Chamber Sinfonia. Through our performance program, we regularly invite youth choruses to perform on select concerts and provide complimentary tickets to those performers. Partner ensembles have included the Oyster Bay High School Concert Choir, the Reaching for the Arts Community Choir and the National Children’s Chorus. Throughout the year, the New York City Master Chorale engages in community performances, including visiting The Lighthouse Guild, a local healthcare facility for people who are blind or visually impaired, including those with multiple disabilities or chronic medical conditions and at Housing Works, which provides housing and support services for those living with HIV/AIDS. To learn more or invite NYCMC into your community or classroom, please contact us.